Whatever challenge your child or ward experiences academically is a mere joke to the solutions we offer at Smart Learning. We are determined to make our clients smile by solving the academical challenge like a simple mathematical equation. 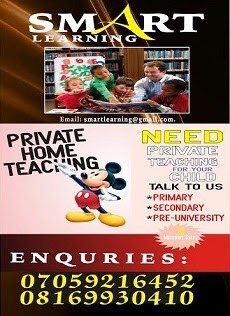 Our teachers are upgraded to meet current academical needs and our one on one teaching technic is second to none.